The opening rites of the PBA's 41st season will be held on Wednesday at the Mall of Asia Arena, with the same schedule to be followed. 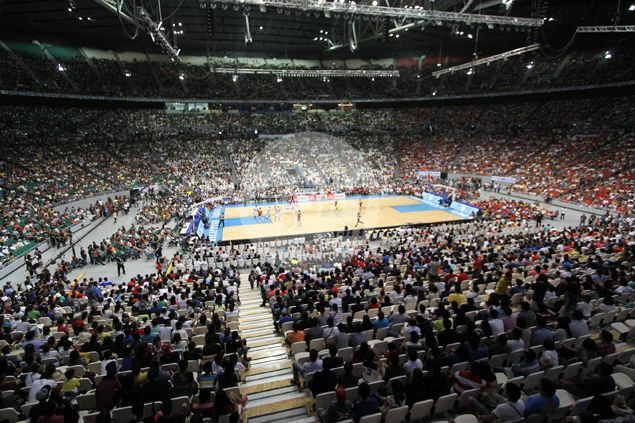 THE Philippine Basketball Association (PBA) already made history even if its 41st season has yet to kick off. On Sunday, the pro league decided to cancel its season opener for its 41st year at the Smart Araneta Coliseum as Typhoon Lando battered Metro Manila and its neighboring provinces. Deputy commissioner Rickie Santos noted this is the first time in the league's more than four decades of existence that its opening playdate has been cancelled due to bad weather. “Instead, we shall have the formal opening on Wednesday, with the same game to be played,” added the same statement. The Wednesday festivity is scheduled at the Mall of Asia Arena. Media bureau chief Willie Marcial added the league is now preparing to extend donations to those affected by the super typhoon.